The development of the Big Bang theory is an example of how faith responses can contribute to the scientific discussion in a positive way. Rodney Holder, an Anglican priest and former cosmologist, has contributed to this conversation for a number of years. 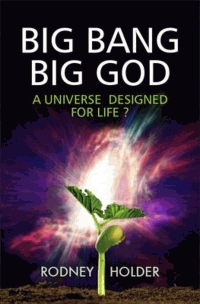 He has just published a new book, ‘Big Bang Big God: A Universe designed for life?’ that aims to bring the debate to a wider audience. Until the 1920’s, the scientific consensus was that the universe is a static entity: it has always been there, and it always will. Einstein’s general theory of relativity linked matter, time and space and Einstein came up with a solution which gave a static, eternal universe. In 1927 the Catholic priest and physicist Georges Lemaitre came up with another solution, in which the universe was expanding. What about the amazing discoveries made through the Hubble Telescope? The pictures from this incredible piece of technology in the sky grace our coffee tables, computer monitors and television screens every day. Hubble has filled in many of the gaps in our knowledge about how planets form. Before high-resolution images were available astronomers could only guess some of the details, but now a clearer picture has emerged – quite literally! Planets form in vast clouds of dust and gas called nebulae. A new planetary system forms when part of the cloud clumps together and begins to collapse under the force of gravity. The compression at the centre of the cloud is so great and causes so much heat to be generated that a new star is formed. The remainder of the dense cloud rotates around the star and begins to flatten into a disc. Planets begin to coalesce within this circulating dust ring. The new planets grow larger and larger, gathering up the remaining dust until a new group of planets is formed orbiting around its own star. 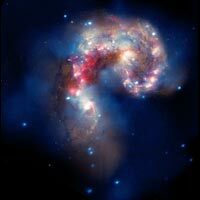 And I can’t write on Hubble without mentioning that Dr Jennifer Wiseman, the chief scientific officer of Hubble Telescope, is a Christian and has written her own thoughts down in a paper for BioLogos about science as an instrument of worship. She also appeared on BBC’s Women’s Hour, speaking about a talk she was about to give at the Faraday Institute on life on other planets.